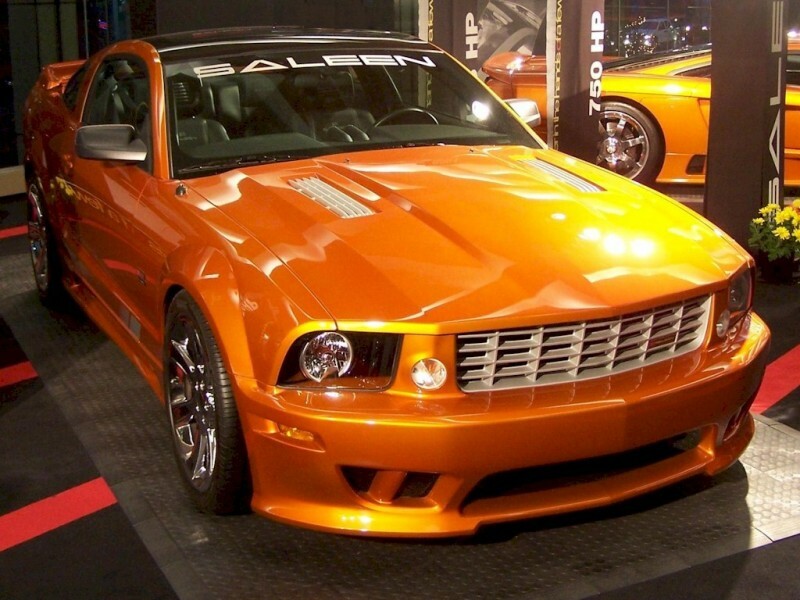 Beryllium 2007 Mustang Saleen S281 Extreme coupe, front right view. This photo is available in two wallpaper sizes; 800-600 wallpaper and 1024-768 wallpaper. Low right front view of a Beryllium 2007 Mustang Saleen S281 Extreme coupe. Beryllium 2007 Mustang Saleen S281 Extreme coupe, left front view. Rear view of Brian's Black 2007 Mustang GT Deluxe coupe. It has blacked out taillights and rear window louvers. This Performance White and Windveil Blue striped Mustang Shelby GT coupe is not to be confused with the Shelby GT-500. This car has a Mustang GT, 4.6 liter, V8 engine; but with a Ford racing air box. Other Shelby modifications include Hurst shifter, Shelby stripes, Shelby Factory hood scoop, Shelby custom body panels, Shelby billet style upper and lower front grille, Shelby VIN specific car number, sport exhaust, Shaker audio with in dash six CD changer, MP-3 player, power drivers seat with adjustable lumbar support, and 18 inch polished wheels. White Mustang Shelby GT coupe, left side view showing off its low bodyside Shelby GT stripe. Rear left view of a Performance White 2007 Mustang Shelby GT coupe. 2007 Performance White Mustang Shelby GT coupe, right side view. Right front view of a 2007 Mustang Shelby GT coupe in Performance White paint. Performance White 2007 Mustang Shelby GT coupe, front end view showing off its upper and lower Shelby Billet styled grilles. Interior view of a 2007 Mustang Shelby GT coupe. The Mustang Shelby GT, H-code, 4.6 liter, V8 engine with a Ford racing air box. Another view of the Mustang Shelby GT, H-code, 4.6 liter, V8 engine with a Ford racing air box. Close-up view of the Shelby GT Hood Scoop. Close-up of the Shelby GT lettering at the door threshold. Close-up view of the GT dash plate showing this Shelby GT's serial number. Close-up of the Shelby GT engine plate/badge showing that this is the 4569th Shelby GT for 2007. Vista Blue 2007 Mustang coupe owned by Brian Corbellni from Yonkers, New York. This Mustang has the 4.0L SOHC V6 engine and a manual transmission. Brian adds, "I'm 16, worked my tail off to buy this as my first car back in May 2012. So far, I have tinted the windows to 20% all around, installed a K&N cold air intake, Pypes true dual exhaust, Kenwood DNX5140 head unit, black rims, blacked out lights, blacked out side markers, blacked out decklid emblem, GT500 style stripes, and a 2010 style shift knob." 2007 Ford Mustangs Thumbnail Collection. Page 9 of 29.